I had hidden the files of a hard disk of 1 TB still filled and I am surprised that everything is empty when opening the hard disk while the bar of disk is completely filled. How can I solve this problem to find the contents of my hard drive? 3, Expand hidden USB drive (the 1TB drive) , then expand the special folder named ...., continue expanding until you see hidden files and folders. 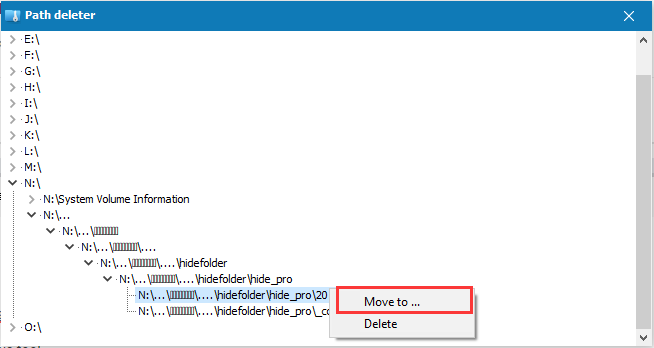 4, Right click on a file/folder, choose "Move to..", select a different location to save it.